“Monsoon’s showers” is a picture shot in New Delhi during the first day of monsoon. Some devotee were waiting in line in the street in order to worship in a temple, they were enjoying the rain after the heat of summer. 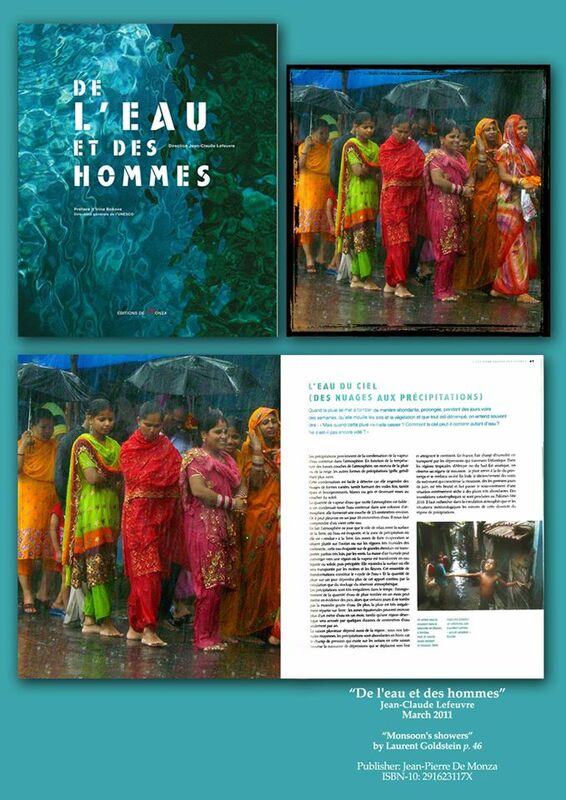 It was selected for “De l’eau et des hommes” a book by Jean-Claude Lefeuvre published by Editions Jean-Pierre de Monza and released the 24th March 2011. This entry was posted on February 27, 2016 at 04:25 and is filed under 7 - Events, Publications & Press with tags atmosphere, “De l'eau et des hommes” Jean-Claude Lefeuvre, भारत, colours, culture, delhi, devotion, expression, human, india, people, photo, photographer, photography, smile, soul, water. You can follow any responses to this entry through the RSS 2.0 feed. You can leave a response, or trackback from your own site.